In my talk at dotSwift 2017 I start with generic overview of some of the RxSwift basics and move to three complete code examples. In three posts I post the sample code and comment shortly why I chose to highlight these exact examples. 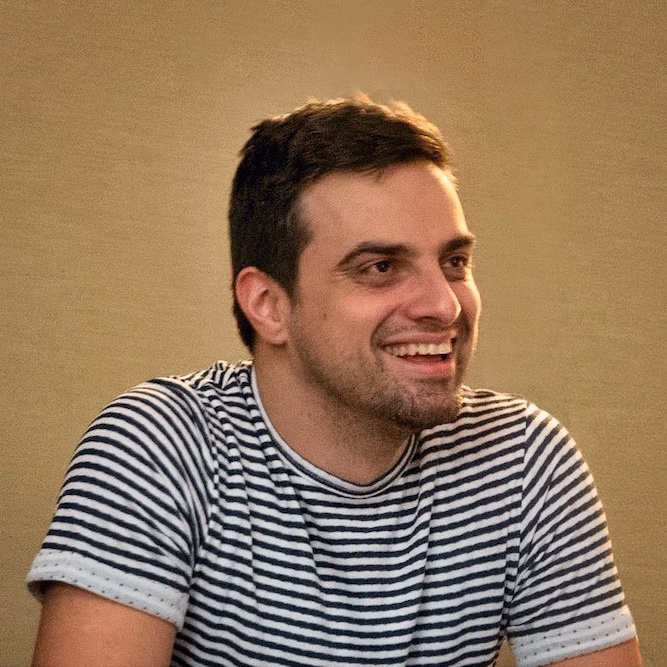 I already posted a write up on the GitHub API search example here: http://rx-marin.com/post/dotswift-search-github-json-api/. The second post in the series, the one about presenting view controllers, is online here: http://rx-marin.com/post/dotswift-rxswift-view-controller/. Let’s continue with example number three. 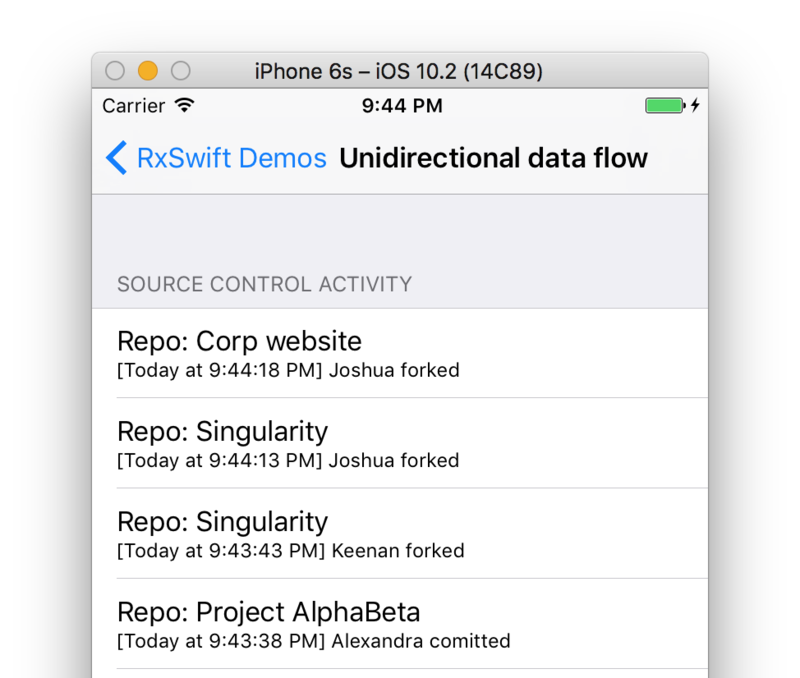 RxSwift doesn’t neccessarily force you into one architecture or another, but it really helps you keep flows of data separte. For example, one class working on a background thread will fetch data from a network API and save it to disk, another class will read from disk and bind the UI on screen. The two are completely separate and shouldn’t intermix. In this example I used RxRealm with an online JSON API to show how to fetch JSON, store data on disk, and display it on screen easily with RxSwift and Realm. To make a point, namely that RxSwift allows you to simplify incredibly not only the code but also the logic of your app by defining clean dataflows. The sample uses both RxRealm and RxRealmDataSources (which is a simplified data source library to use with realm). In the simple example included in the talk, all code is added in the view controller but of course in real-life this could be split across different classes, frameworks, etc. JSON from API, being converted to objects and stored on disk. Objects loaded from disk and bound to a UI table. SourceControlAPI is a mocked API class, which periodically provides updates in JSON format. SourceControlAPI.updates() returns Observable<[String: Any]>. Via observeOn I switch the processing of the JSON data to a background thread, and map all the JSON objects to Update realm objects. fromOrEmpty is a static method, which takes in a dictionary and populates a new Update object. This happens on a background thread and perisist the data for possible offline use. This one is even easier thanks to a simple helper library called RxRealmDataSources, which helps binding a Realm collection to a table or collection view on screen. dataSource.headerTitle = "Source Control Activity"
This defines a data source object for Update objects, which is going to be producing table cells with identifier “Cell”. It also features a closure to configure each of the cells before it’s being used on screen. updates gives access to all Update objects sorted in descending order by their date property. In real life you never have just two data flows in your whole app. But even in this simple example you can see the benefits of being able to clearly and simply define how data flows. Even as you scale your app, the complexity of defining these type of data flows does not increase. 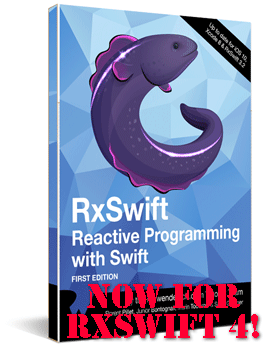 Newer// RxSwift book - available now!